Venezuelan migrants in Colombia have received death threats, according to the country’s migration agency that rejected xenophobia. Migration Colombia called on its citizens to treat Venezuelan migrants with “tolerance and respect”, after death threats emerged on social media. “Migration Colombia wants to make it clear that just as it rejects any kind of threat against Venezuelans, it will not tolerate any kind of disrespect for Colombian legislation, as well as any kind of act that threatens the peace, security or social order of foreigners,” the agency said in a statement. The migration authority expressed their concerns about threats made on Facebook and Twitter over the past months. 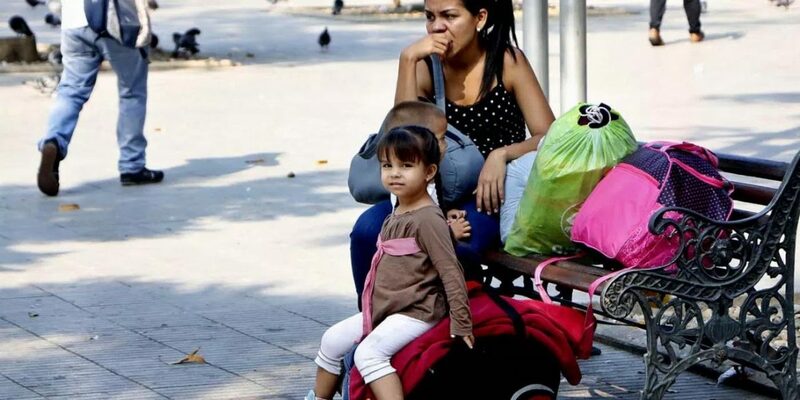 The High Commission of the United Nations for Refugees (ACNUR) also expressed its concern that groups are forming online and meeting in cities to protest the presence of Venezuelans. “We are concerned that Colombians do not understand the situation our neighbors are going through, and that, instead of being understanding and supportive, they are discriminatory and, in some cases, aggressive,” said ACNUR official Rocio Castañeda. “We cannot forget that for decades the Venezuelan people have provided aid to our fellow countrymen and this is the moment when history is calling us to give them a hand”, Migration Colombia added. More than one million Venezuelans have fled to Colombia to escape an unfolding humanitarian crisis in their home country where food and medicine have become scarce. “Their arrival in the country, in many cases, is a result of circumstances beyond their control”, the migration agency said. Migration Colombia said its is working with local authorities to identify people who threaten Venezuelan migrants. The diaspora from the neighboring country will likely continue growing throughout the region as the crisis in Venezuela continues. Last week Venezuelans reelected President Nicolas Maduro in what many world leaders called a “sham election” that was boycotted by the country’s opposition.